Last week, it was announced that the state Supreme Court of Pennsylvania would discuss whether or not to overturn a law that allows defendants in medical malpractice lawsuits to avoid prosecution based on “error in judgment”. The decision came as Stephen and Nicole Passarello were granted a new trial after their original lawsuit was dismissed because of the defense’s argument that a physician’s error in judgment does not qualify as negligence. Dr. Rowena Grumbine responded to complaints by the Passarello family that their 2-year old son was not eating and was coughing and vomiting with a diagnosis of gastroesophageal reflux. Their son eventually died in the emergency room from acute viral myocarditis, which is a serious heart disorder. Grumbine and her counsel have argued that a physician’s judgment will always be subject to error and that overturning this decision would essentially require doctors to be perfect. Grumbine’s representation has also argued that she went above and beyond her call of duty to diagnose the boy; however, the family and its counsel maintain that the error was too egregious to be dismissed as typical. Zack Needles, Pittsburgh Post-Gazette. (06/11/2012) “Justices to consider ‘error in judgment’ medical malpractice defense”. 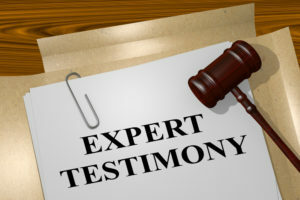 Is Expert Testimony Required for a Medical Malpractice Case? If You Prove Your Doctor Violated ‘Standard of Care’, Do You Win Your Case?